TaiG Jailbreak for the current version is here to stay and many new tweaks and packages are being released for a greater jailbreak experience. Some tweaks improve functionality while others play an awesome role in visual aids. Recently we told you guys about the CirDock jailbreak tweak that aims to add both functionality and cool animated visuals to the iOS dock. You can check out more details on CirDock. Moving on, developers with intellect and creativeness are designing jailbreak tweaks for an experience beyond iOS boundaries. Similarly, iKyle and Surenix have developed a cool new app that gives App Switcher in iOS a complete new look. The new tweak, Alympus, developed by iKyle and designed by Surenix has been in the news for some time now. App Switcher replacement for iOS’ stock switcher is what we have in store for jailbroken users. Roll down for more details on Alympus. 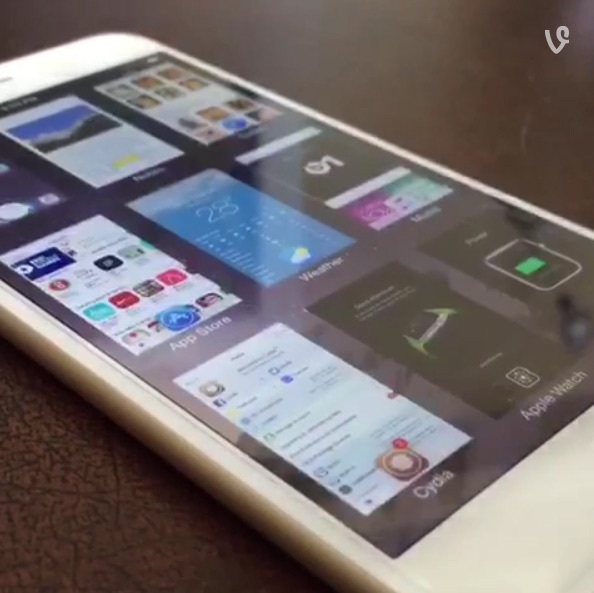 Alympus tweak for jailbreak has been in a teaser stage for a little while and recently, developer iKyle and designer Surenix have released a trailer of on Vines. We have posted the trailer below so you can grasp your eyes for a better look. Until today, there was no news for what the aforementioned developer and designer were up to. Expectations for all sorts of tweaks was viable. Whether it be a messaging tweak or any type of new theme. However, it has finally come to us and you can check the vine down below. Needless to say, the App Switcher tweak for iOS looks sleek and quite functional. The video you see entails some interesting details about Alympus. It can be seen that you have to activate the App Switcher by swiping up from the bottom of the display. Furthermore, you can customize the size of application cards with simple pinching gestures, the same as zooming in and out of photos. You can add up to 9 app cards on the screen which makes it more productive as the switching is faster. To close an app, all you need to do is tap it and swipe it downwards. Simple as that. The App Switcher tweak, Alympus makes switching app fast plus most of the users would definitely want it for a change. We are sure users with jailbroken iOS devices will be psyched about Alympus. However, there is no price and release date provided but we will let you know as soon as we hear it. As for now, let us know if you Alympus geeked you.